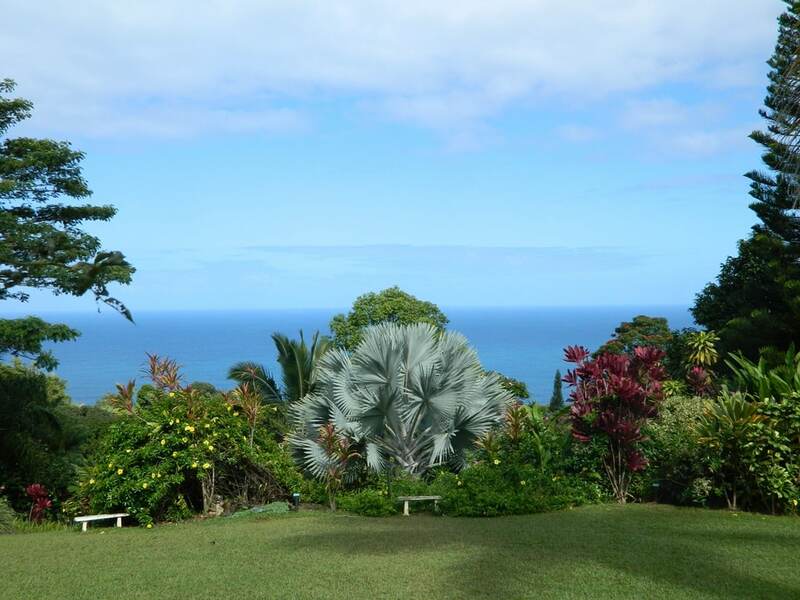 Today’s Aloha Friday Photo was taken at Maui’s Garden of Eden just off the road to Hana. What a delightful view filled with serene shades of blue and green. Looking at this scene makes me want to relax on one of those benches for an hour or two or three. Mahalo to Nan DeMott of Richland, Michigan for sending in this beautiful photo from her Maui vacation. Nan tells me that this photo is only one of 980 photos she snapped during her Maui visit. That’s a lot of photos, but this one is one of her favorites. I can see why. I have this very same picture and it is a beautiful shot! I only took 901 pics in Maui. Guess I was a slacker! My sister took this photo. I only took 780 but this was the besst vacation ever!! !